The most cut well sword in Shinto sword makers. 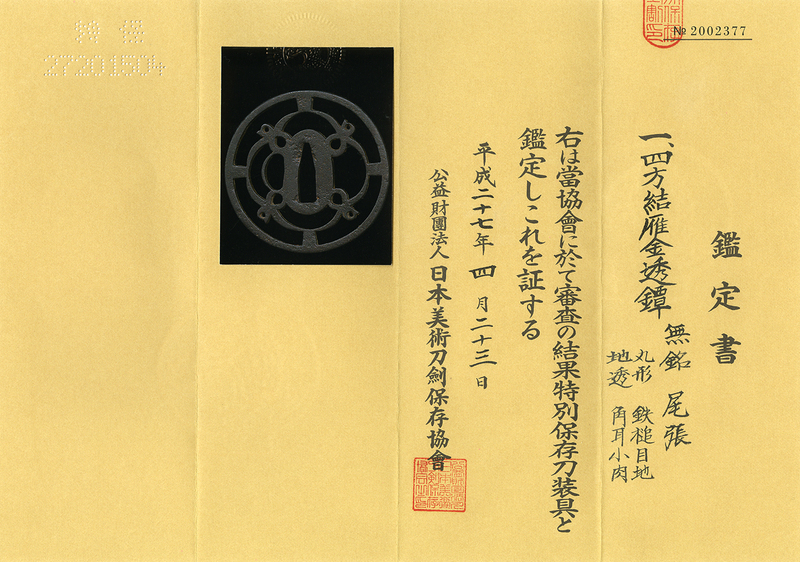 This Mutsu Daijyo Miyoshi Nagamichi belongs to Jyo-jyo saku ranking. Width at the Kissaki : 2.21 cm or 0.87 inches. Era : Shinto Kanbun era. 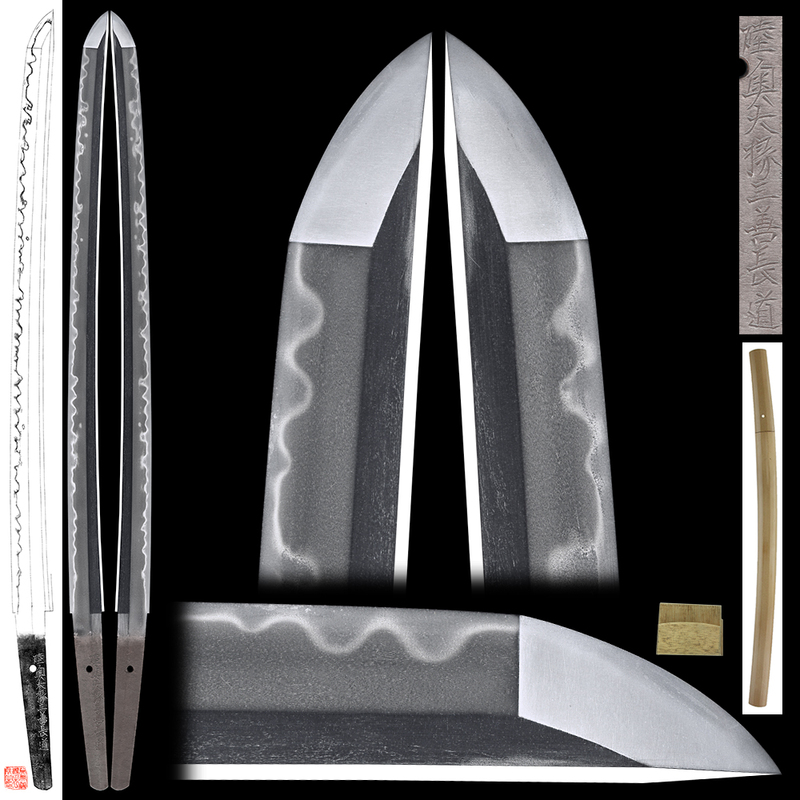 Shape : The blade is wide and thick with good meat(healthy) with long kisaaki nice looking shape. Hamon :Niedeki suguha from the Hamachi area and then gunome midare hamon bright and clear. Boshi is notere and round shape like Kotetsu. Special feature:Miyoshi Nagamichi, born Miyoshi Toshiro lived at Matsuyama in Iyo province is a grondson of Nagakuni. 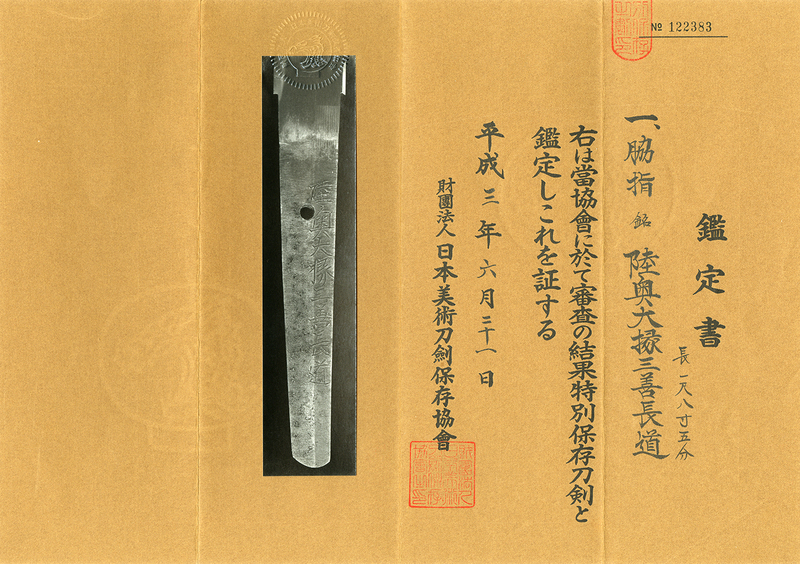 Nagakuni was a retained swordsmith of Kato Yoshiaki. Nagakuni and his son Masanaga, the father of Nagamichi went along with the Kato family when they moved to Aizu in O-shu province in 1627. Nagamichi was born in 1633 who was called Michinaga in his youth. Accepting Mutsu-Daijo in 1659, he changed the name to Nagamichi. Mr. Asaemon Yamada, known as a famous cutting tester ranked Nagamitsu Saijo-Owaza-mono in his book as one of twelve excellent swordsmiths at the point of sharpness. Quite a few swords forged by Nagamichi survive with the result of cutting test. to Kotetsu who is a representative swordsmith of Edo-shinto. Tsuba :On the roud shape iron tsuba arigane(wild goose) design engraved in openwork. Menuki : On the syakudo plate, flower design is engraved.